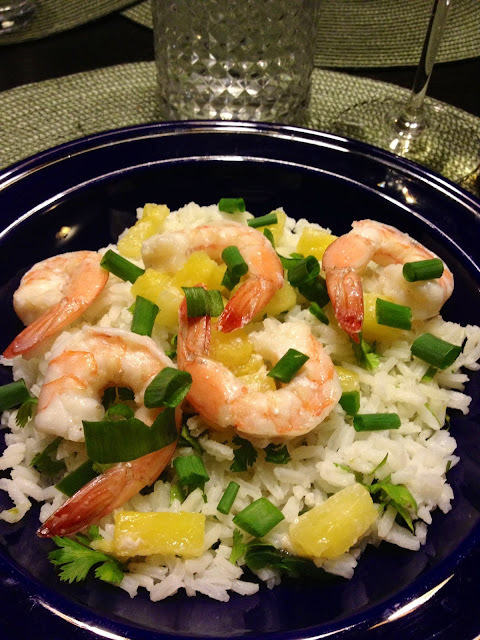 Frozen pineapple and shrimp are the keys to making this a quick and easy dish. 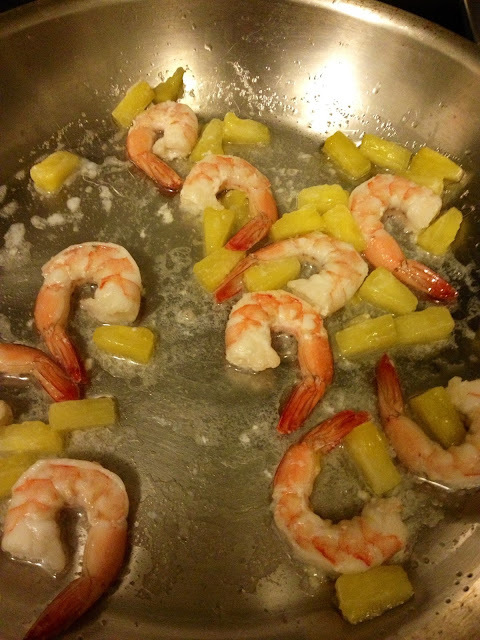 If I'd had to cut up a whole pineapple and peel my own shrimp ... well, no. So, the first thing you do is get some rice started. While that's going on you'll need to thaw the pineapple and shrimp, zest and juice a lime, seed and chop a jalapeño, chop some cilantro and a bit of green onion. 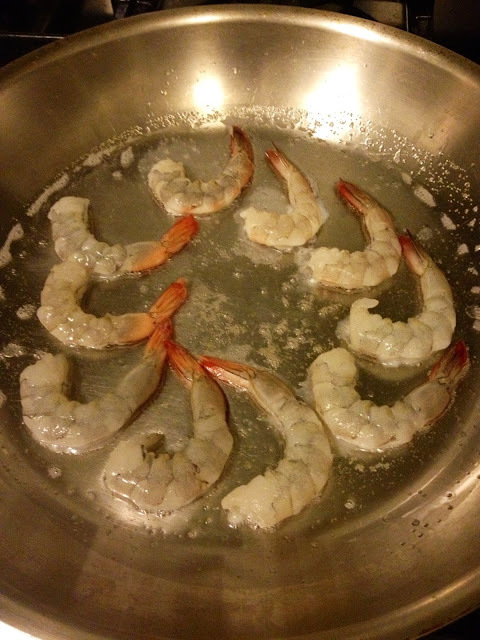 Next, cook up the shrimp and pineapple in some coconut oil over low heat. You can sweat some garlic before tossing the shrimp and pineapple in to the oil, but I was ... *GASP* ... out of garlic this time. 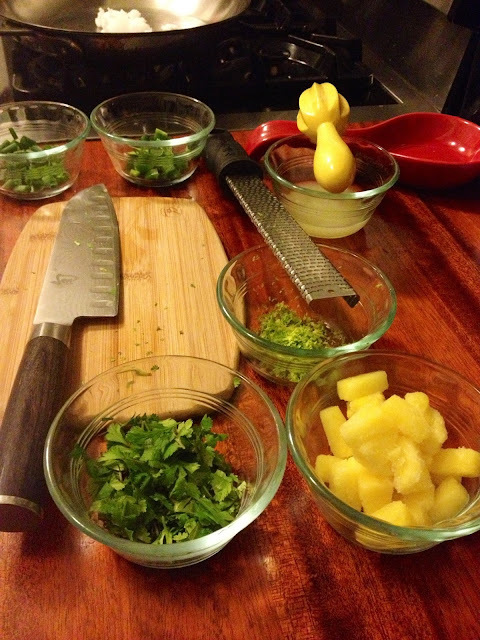 While your shrimp and pineapple cook mix the zest, juice, cilantro, and jalapeño into the finished rice. Put it all together on a plate and top with the green onion. Eat!